As Olaf would say, “Winter’s a good time to stay in and cuddle, but put me in summer and I’ll be… at Disney World!” (Or something like that.) Summer seems to always bring extra special things from Walt Disney World, and this year is no exception. From floating mountains to new entertainment, Disney continues to seriously up the ante at their Orlando theme parks. 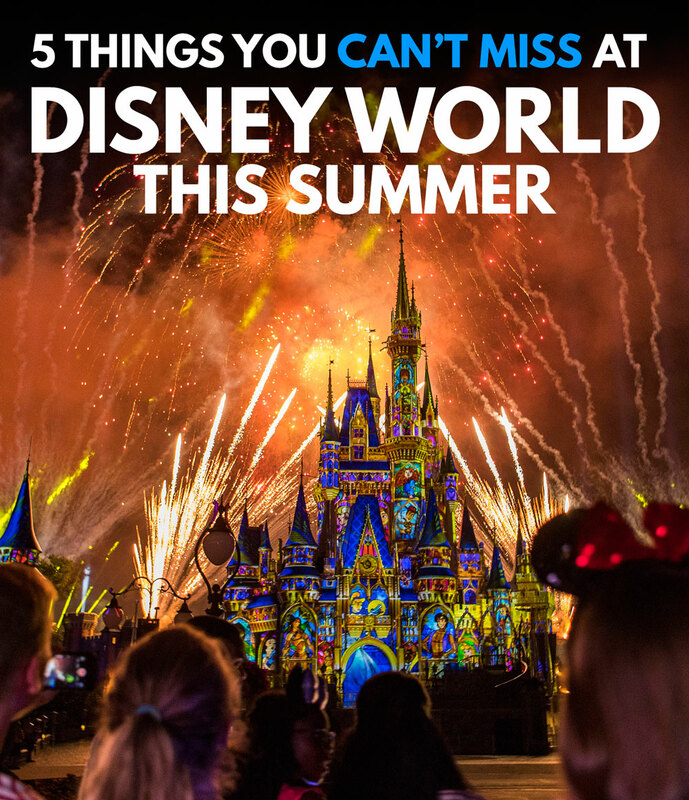 There’s lots to keep track of this year, so we have put together a handy dandy list of the top 5 things you just can’t miss at Walt Disney World in Summer 2017! While this attraction opened back in February, I’m still adding it to my list of must-do’s because Rivers of Light truly highlights all the unique beauty of Animal Kingdom. 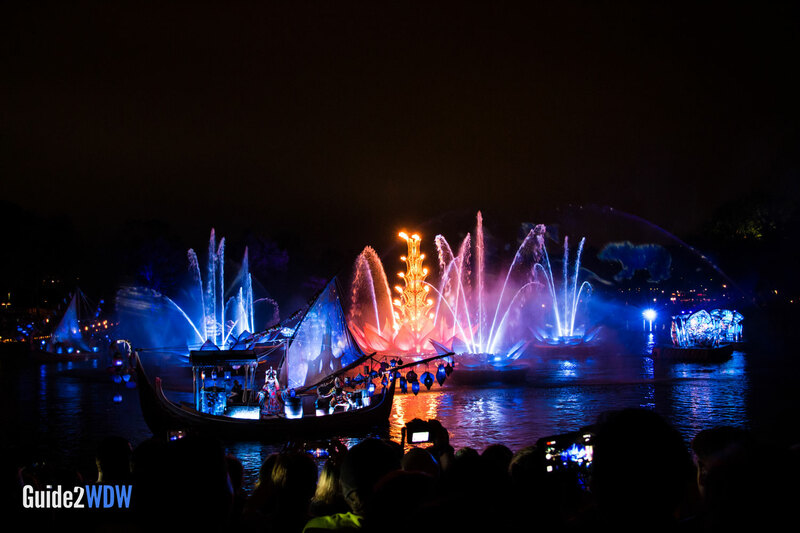 Rivers of Light pays homage to the beauty of nature, from flickering fireflies to a display of other animals lit up on floating platforms – all set to a heartwarming, earworm-creating Disney score. Once regarded by many as a half-day park, Animal Kingdom is now making a strong case for why it should get more attention – and rightfully so. With Rivers of Light, along with other attractions such as the nighttime safari and the awakening of the Tree of Life (and of course, the opening of Pandora – but I won’t get ahead of myself – more on that below), Animal Kingdom is truly a can’t miss park for your next Disney vacation. 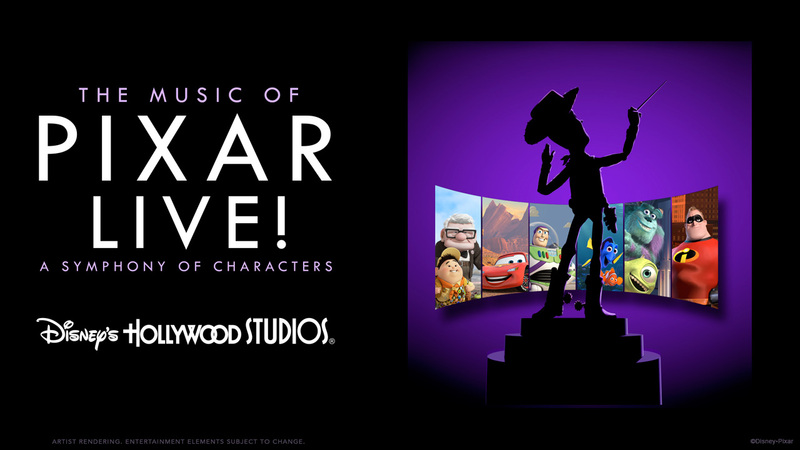 Can’t Miss #4: The Music of Pixar Live! Recently, I checked off one item from my Disney bucket list, which is to see the Candlelight Processional. I’ll never forget how amazing it was to hear beloved Christmas songs being sung by a gospel choir. In some ways, I like to think that The Music of Pixar Live!, debuting this summer at Disney’s Hollywood Studios, is very similar. This nightly concert series features our favorite music from Pixar movies like Cars, Finding Nemo, Monsters Inc., Toy Story and Up – all set to music by a live orchestra. And just so our eyes can feast on something too, giant screens will be set up to show movie montages, interviews and outtakes. As long as they don’t show that scene from Up that never fails to make me cry (you know what I’m talking about), I might have a fighting chance of keeping my eyes dry throughout the show. Yes, R2-D2 and C-3PO will always have my heart, but there’s something just undeniably adorable about BB-8, the droid famous for protecting the final clue to finding Luke Skywalker in Star Wars: The Force Awakens. 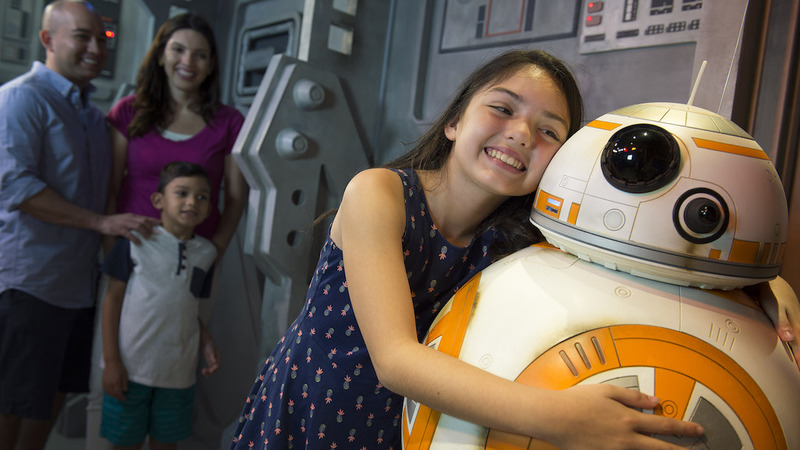 And now, you have a chance to meet BB-8 for yourself at Star Wars Launch Bay in Disney’s Hollywood Studios. BB-8 is located right at the Resistance base near where the Jawas congregate – just remember not to tell Kylo Ren or any of the roaming stormtroopers! I must admit, I am still crying a little over the fact that I may never see Wishes again in person. Okay, okay, I’m crying a lot. But I have faith that Disney’s newest fireworks spectacular, Happily Ever After, will amaze and delight and touch my heart in a way that only Disney can. Happily Ever After starts off as a dream and takes you to a journey through Disney’s beloved animated films – like Aladdin, Big Hero Six, Brave, Frozen, The Lion King, The Little Mermaid, Moana, Mulan, Toy Story, Up and Zootopia, just to name a few. 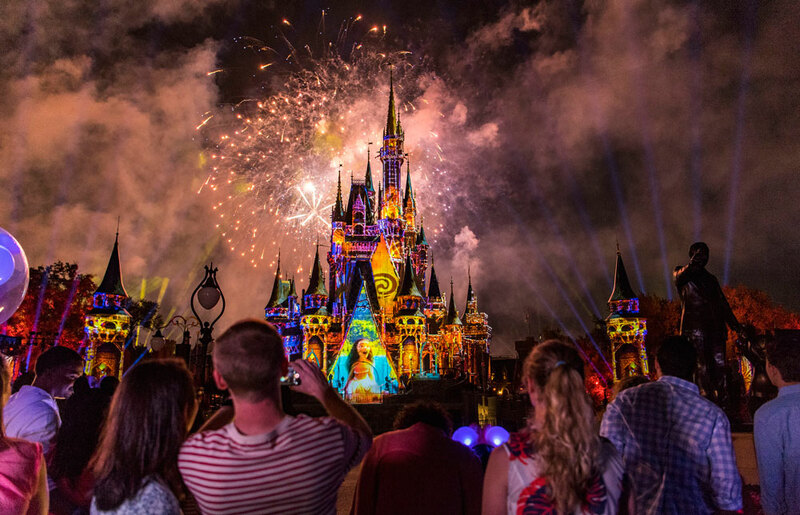 This fireworks show includes more lasers, lights and projections than any other fireworks show in the history of Magic Kingdom, so you definitely won’t want to miss it. The centerpiece of Disney’s summer offering is the opening of Pandora: The World of AVATAR at Disney’s Animal Kingdom. We have featured Pandora extensively here on Guide2WDW, so make sure you check out our articles before heading to the park. Starting May 27th, guests can experience the jaw-dropping spectacle of floating mountains, bioluminescent vegetation and wildlife, and unique environment that we previously only got to see on the big screen. 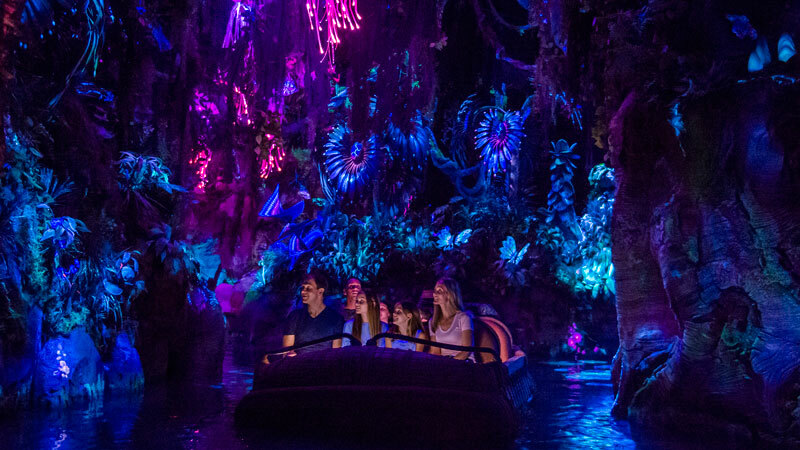 Don’t miss two new rides – Na’vi River Journey, a boat ride that takes you through a bioluminescent forest, and Avatar Flight of Passage, a 3D ride where you can experience what it’s like to fly on the back of a banshee. There are also new eats and drinks with very unique offerings at Satu’li Canteen and Pongu Pongu. Even the merch was not overlooked – it’s Disney after all – you can bring home Na’vi cultural items, science kits, and other cool toys from Windtraders. In short, well, there is no shortage of amazing experiences that await you this summer at Disney! If you haven’t booked your trip yet, now is a great time to do it! Call me at (920) 526-0809 or email me at myra@worldofmagictravel.com to get a free quote!